Why not recycle yours? And put the money you make towards a new one. Welcome to O2 Recycle for Business, the free service for O2 Business customers to recycle their old phones and other gadgets. 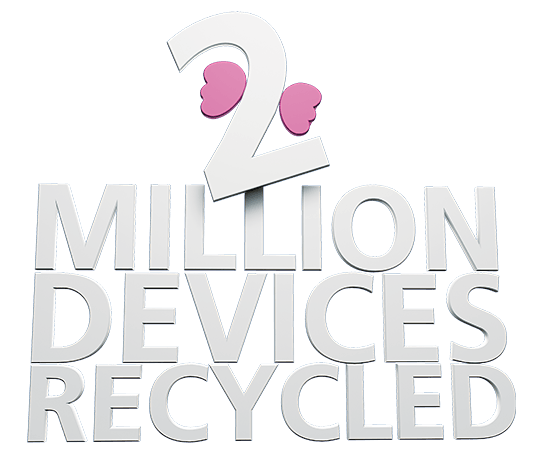 We offer free secure collection of devices, zero landfill and you choose how to spend any money raised. If you are not a business, please visit our consumer website. Get a quote for your old devices. Your devices are collected, free of charge. Your devices will be graded, data cleansed and we will confirm valuation. If you're happy, send us a VAT invoice and payment will be issued via your preferred method. Your devices will be responsibly recycled. Any requested data certificates will be sent to you.